Chakalaka is a traditional South African spicy vegetable relish. It is usually served with pap or samp & beans and is most commonly found in black communities across the country. It has become so popular that one can now buy it in cans in the supermarket and order it at KFC! Everyone’s recipe for Chakalaka is different – I have never tasted two that taste the same. It can range from mild to searing hot – depending on the cooks tastes. So – there is no set recipe for Chakalaka. As it is often made with what is left over in the fridge – even in one household it can change in taste most nights! I tried to research the origins and found the following on Wikipedia: Chakalaka may have originated in the townships of Johannesburg or on the gold mines surrounding Johannesburg, when Mozambican mineworkers coming off shift cooked tinned produce (tomatoes, beans) with chilli to produce a spicy relish with a Portuguese flair to accompany pap. 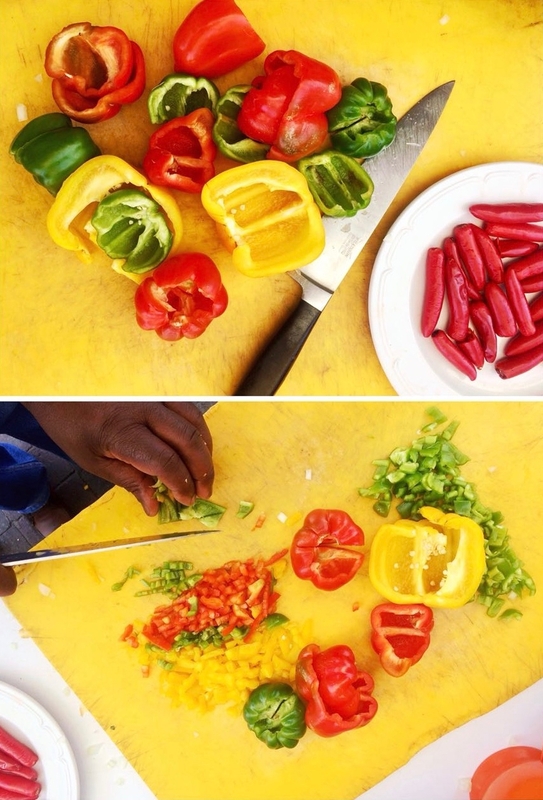 The many variations on how to make Chakalaka often depend on region and family tradition. Some versions include beans, cabbage and butternut. 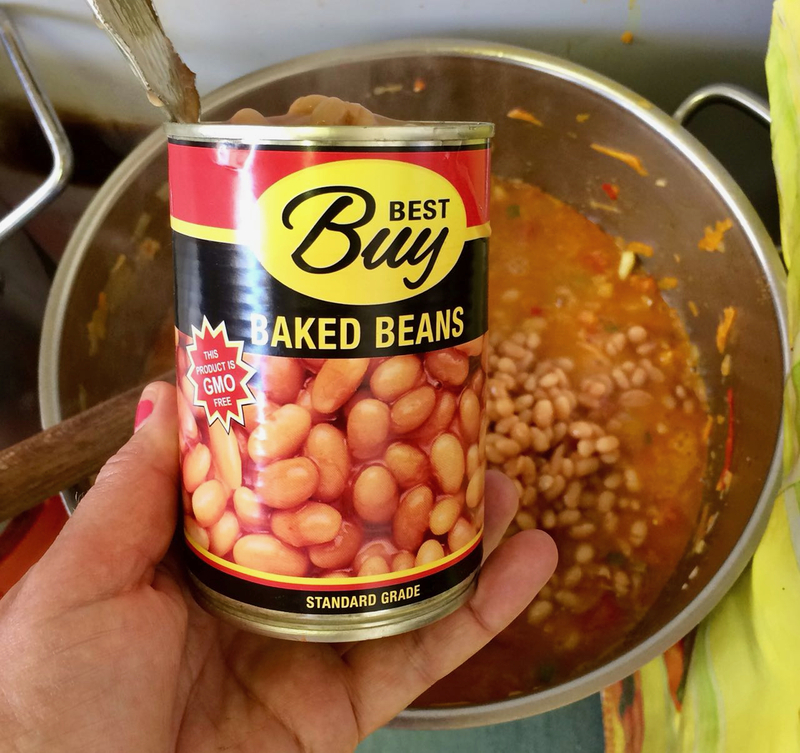 For example, a tin of baked beans, tin of tomatoes, onion, garlic, and some curry paste can be used to make the dish. One of the best Chakalaka’s that I have ever tried is made by a wonderful Chef called Sandile Somdaka. Sandile has his little restaurant on the roof of the main train station in Cape Town. 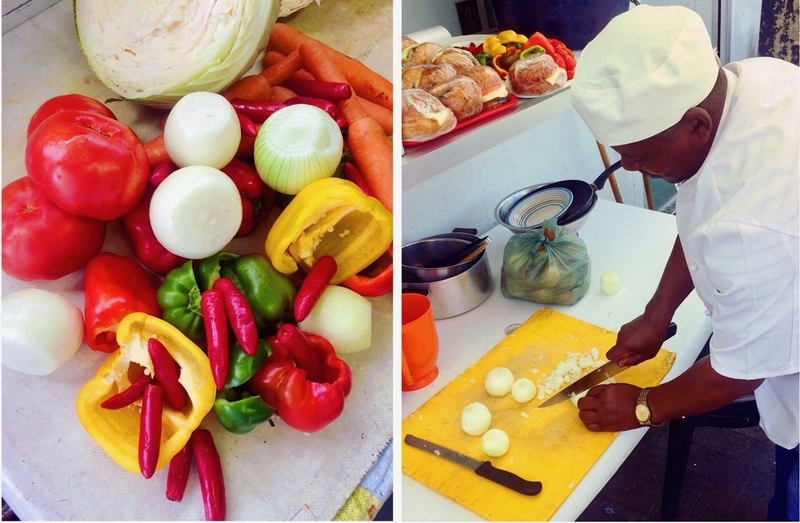 Here is serves some of the best African food to be found in Cape Town. 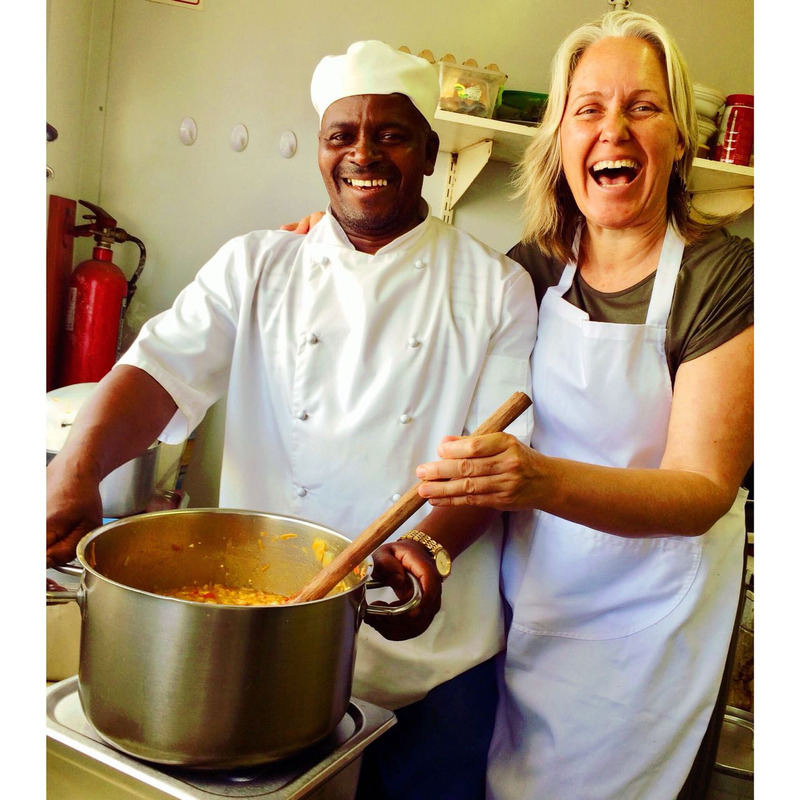 We visit him on our foodie walking tour of Cape Town – called The Cape Town Eats City Walking Tour. One of the highlights of the meal with Sandile is always his Chakalaka. Many people have indicated that they would buy a jar if he were to consider going the extra step and bottling it. Many more visitors have asked for his recipe. 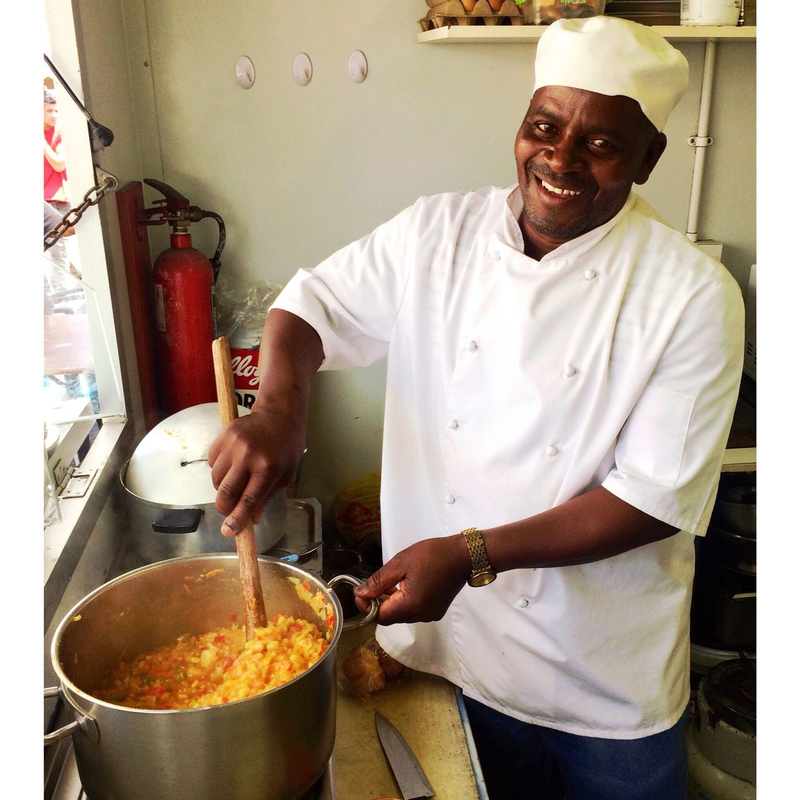 As he makes it in large quantities, I asked one of our tour guides, Shelley, to head through to Sandile in the morning to cook with Sandile and to compile a recipe for making a smaller quantity of Chakalaka. Shelley is a former home economics teacher, a chef and a restauranteur………………as such the perfect person to have sent! 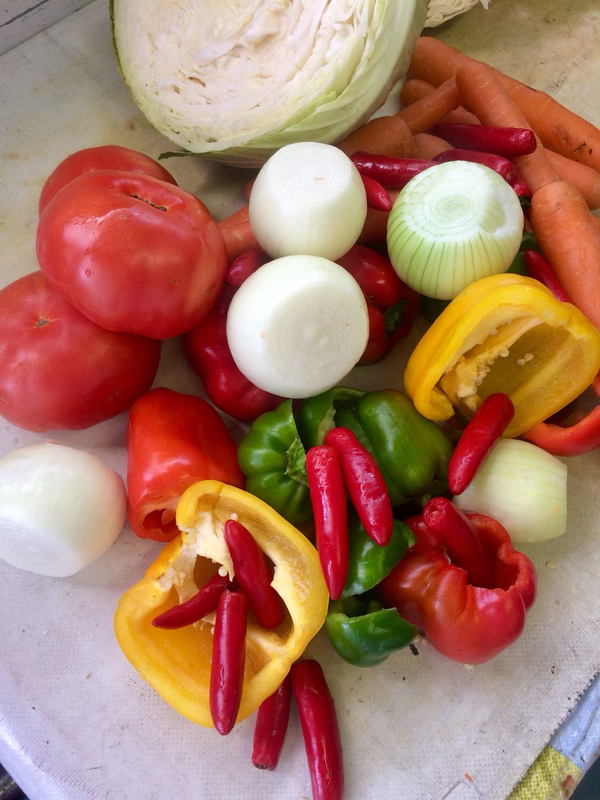 Braise the onions, bell peppers and chilies in the heated cooking oil. When soft, add the cabbage and carrots. Allow to soften before adding the tomatoes. Once combined, add the following and allow to cook on medium heat for a few minutes to allow the flavours to integrate. Once done, allow to cool before refrigerating. Flavours will develop over time. It is best served cold the next day after cooking. It will keep for one week refrigerated. Serve as an accompaniment to pap or samp & beans served with a beef/lamb stew, roasted meat or chicken. Thank you Shelley for putting the recipe together and for the fantastic photos. 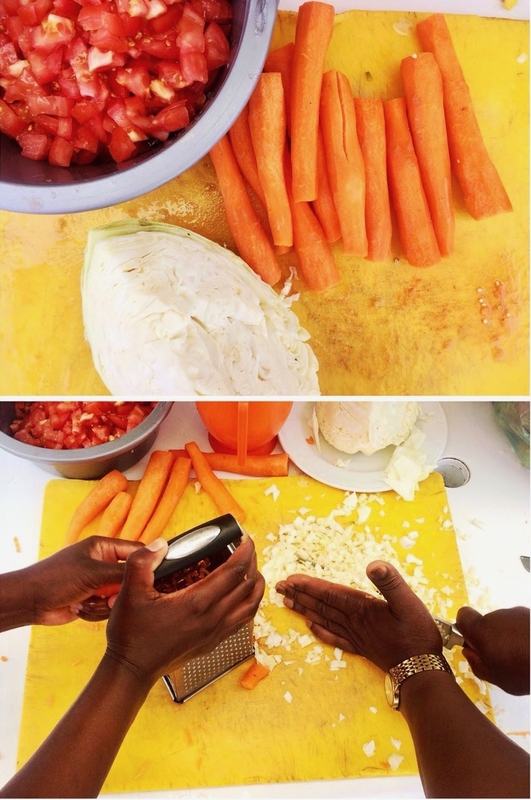 We hope you enjoy making the Chakalaka! 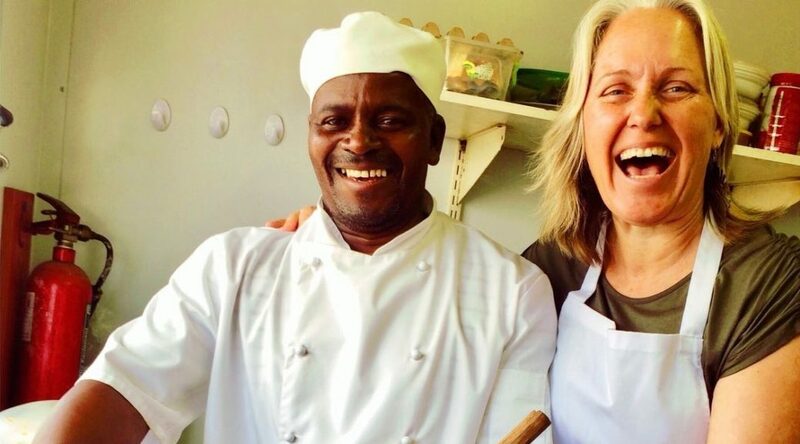 Come and walk with us in the city of Cape Town on our Cape Town Eats City Walking Tour if you want to taste the flavours of the Cape and our people! Check it out!